After 16 years, swimming has finally returned to Govanhill Baths. Our Learner Pool has been in use since January 2017, and we been busy setting up a variety of new programmes. We have begun a Learn to Swim programme for young children and our first term finishes at the end of March, and we will be starting the new term in April – further details can be found below. We have also been delivering women only swimming lessons to targeted groups, and will be opening up some new classes for people who are in receipt of benefits or working tax credits. Our pool is totally private, and the changing area will be closed to the general public while the pool is in use. 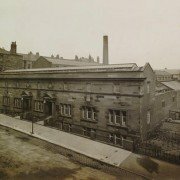 Join us on March 25th to celebrate the 100th anniversary of the famous Govanhill Baths on Calder Street. Characters from Govanhills history will take on tours of the wonderful Edwardian Bathhouse. Historic Environment Scotland will be running free “Whats Your Heritage” workshops. Our Commmunity Archive will be open to view and we hope you can add to the archive with your memeories of the Baths, Historic Environment Scotland will join them to talk about people’s heritage. The exhibitions “Govanhill 1917, what was it like?” and “From Before the Bikini to the Burkini” in the foyer. Or just pop in for a cuppa and to say hello. We have a very busy programme for the Spring of the year, with new classes in Archery and Pottery and mkore, running alongside our usual regulars. Have a look at the What’s On guide below or contact us at The Baths for more details on the Wellbeing programme. Theres something there for everyone and, if there isnt, let us know, all of our ideas and intiatives come from local people with ideas, we are always looking for volunteers and for people to get involved. 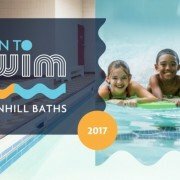 Enjoy the Spring – United We Will Swim!